There are many different products available nowadays for removing makeup and I often find myself trying something new however there are 3 products that I own that I would definitely recommend to you. I also have quite sensitive, dry skin and these products don’t irritate me. I have re-purchased this product about four times so far and will most likely continue to use it far into the future. Applying the water to a cotton pad, working in circular motions I use this to remove my base make-up such as foundation, bronzer etc. Although you are able to use this on your eyes unfortunately it’s not great at removing mascara. 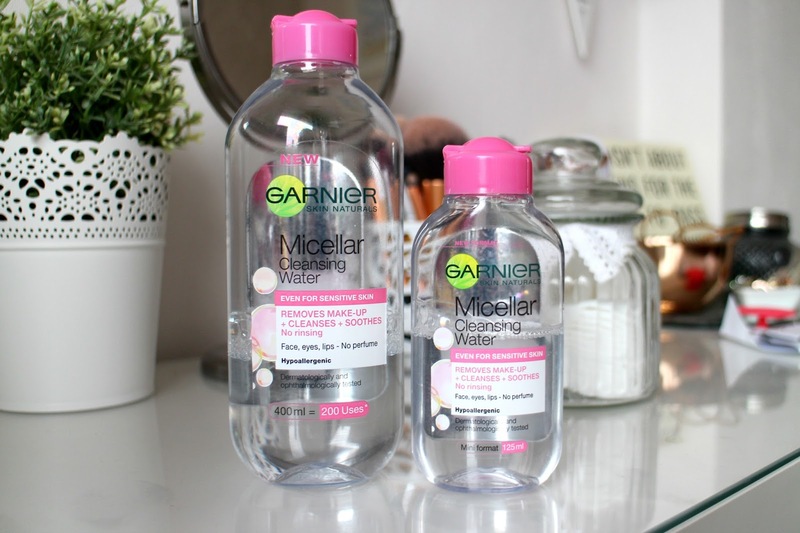 I use this most nights to remove my makeup and the large bottle lasts me around 5 months – there is also a smaller bottle available which in prefect for travelling! 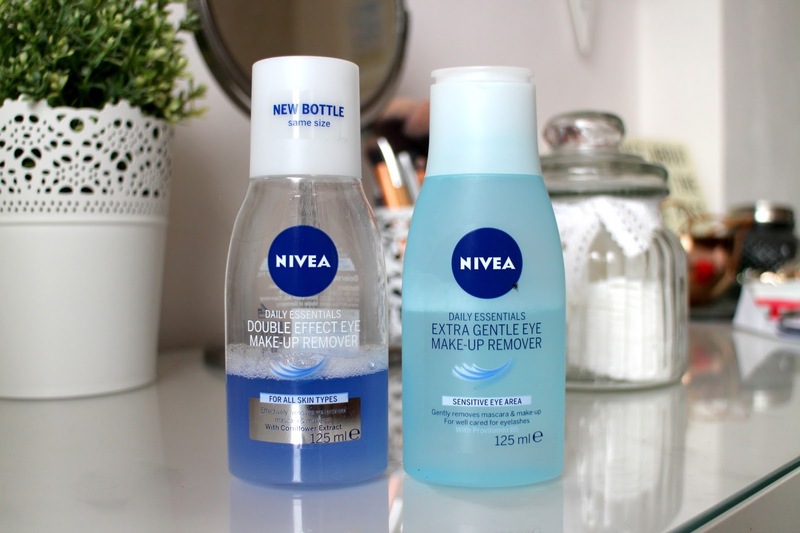 These are two of my favourite eye makeup removers, both very similar in terms of how good they are at removing mascara. The main difference between these two is that the one on the left is a lot more oily which is meant for targeting water-proof makeup and the remover on the right is suitable for sensitive skin. 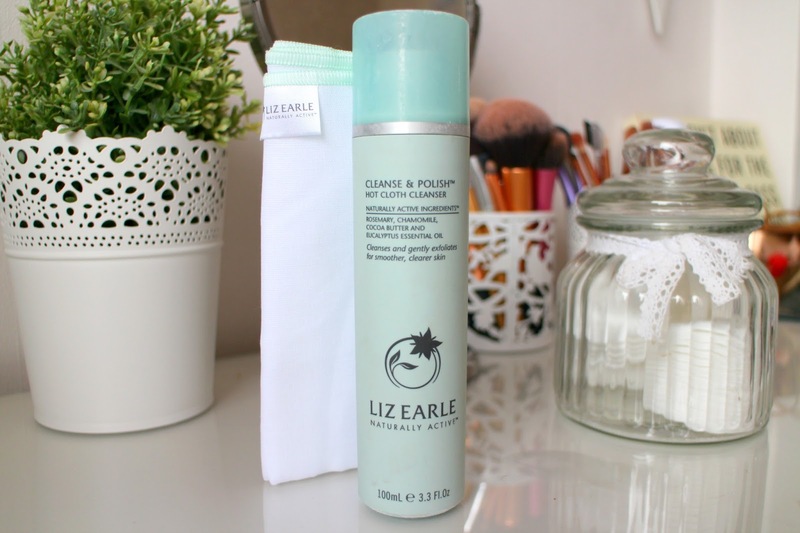 I’m still loving this cleanser after having bought it months ago so I couldn’t not mention it on this post. It’s perfect at removing makeup and gives your skin a good clean in the process – this is what I reach for when I want to remove my makeup on days that I am wearing a full face (which is only usually twice a week). If you want to read more of what I think about this cleanser, I’ve already written a post on it so Click Here! Do you have any favourite products that you’d recommend to remove makeup? Comment below!